Since 1944, Youth for Christ has had a distinctive history of youth evangelism. In the early 1940’s, during World War II, many young men, mostly ministers and evangelists, were holding large rallies in Canada, England and the United States. As the hunger for God’s Word grew, it became evident that there needed to be someone to coordinate this movement, providing leadership, strategy, and coordinating speakers, musicians and locations. Beginning in dozens of cities at the end of World War II, YFC quickly organized into a national movement. 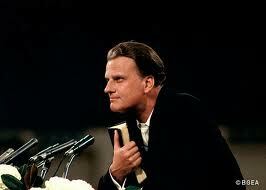 Billy Graham became YFC’s first full-time staff member. Graham began to preach and develop YFC rallies around the country, including the Greensboro YFC Rally that was started on May 6, 1946. Two years later on, May 25, 1948, the Greensboro YFC Rally was incorporated as Greater Greensboro Youth for Christ. Over the past 62 years there have been many changes in methodologies and programs. In the 40’s and 50’s the weekly Saturday Night Rallies were very popular and effective, resulting in thousands of young people becoming Christians. During the 60’s much emphasis was placed on the YFC Bible Clubs in the schools, music teams and Bible quizzing competitions. In the late 60’s and early 70’s, the rallies and Bible Clubs gave way to Campus Life Clubs for high school students. A new ministry thrust aimed at troubled youth and at-risk youth, known as Lifeline, began at this time. Camping also became a strategic part of most YFC programs. Campus Life JV was introduced in the 80’s to reach an impressionable and often overlooked group of youth in our junior highs and middle schools. Clubs, camps and large evangelism training conferences (like the DC/LA events) flourished in the 90’s. In addition in 2016, much emphasis is being placed today on relational youth evangelism, student leadership development and community service and mission projects. YFC/USA is a chartered program of Youth for Christ International. Over 1,861 paid staff members and 16,571 volunteers serve in over 100 countries around the world. As part of the YFC/USA commitment to serve the world, we offer Project Serve which provides overseas short-term mission opportunities. In addition, well over 100 YFC staff members from the U.S. have ministry assignments with YFC programs in other nations as part of YFC/USA’s World Outreach Division. Throughout YFC’s history there has been an unwavering commitment to youth evangelism and biblical Christianity. One of YFC’s slogans over the past sixty years has been “Anchored to the Rock, Geared to the Times”- the message of the gospel will never change and YFC is flexible to creatively communicate this message of hope, grace and love in the context of different cultural settings.